It’s been more than ten years now so I guess I can be excused for not being able to remember who it was that suggested I subscribe to WritersWeekly.com. I wish I could remember though because I would like to thank him or her for steering me in the right direction that would eventually lead to a very successful book writing career. I was a freelance writer at the time and even if all that my free subscription to WritersWeekly had given me was invaluable tips on writing style, avoiding pitfalls and finding worthwhile markets for my articles, I probably would have been satisfied. 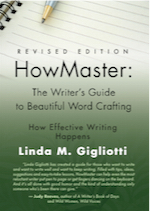 But then I learned that Angela Hoy’s assistance to writers also included an opportunity to self-publish my own book – and that opened up a whole new world to me as a writer. I had been writing nostalgic pieces about growing up in Wawa, a small mining town where my father was sent after returning from fighting in the European campaign during the Second World War. Several of these articles had run in a major daily newspaper and this encouraged me to produce enough anecdotes to complete a manuscript. I sent it off to several traditional publishers from whom I received polite – and in some cases even encouraging – rejection slips. 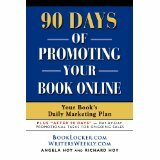 I had been reading Angela’s articles about the self-publishing arm of her enterprise, BookLocker.com, and I decided to bite the bullet by investing in the manuscript as a self-published book. I called it Some Sunny Day – words from a wartime song called We’ll Meet Again that my Dad used to sing while accompanying himself on the piano. I was put in touch with a graphic designer affiliated with BookLocker and, for an extremely reasonable fee, received exactly the right cover for my book. Within a few short weeks, my finished copies arrived and I embarked on a successful marketing campaign, again with tips from WritersWeekly.com, that more than recovered the money invested in having the book see the light of day. The favorable reception Some Sunny Day received gave me the courage to submit another book idea to a start-up publisher looking for new authors. To make a long story short, I have so far written four books for that publisher and all of them have enjoyed critical and financial success. But what pleases me even more is that my publisher asked to see Some Sunny Day, liked it, and bought the rights to it. I was asked to write seven new chapters and the book has been given a new life and a new name: To Wawa with Love. If it’s anywhere near as successful as my other books, I will be more than satisfied. I owe a real debt of gratitude to Angela Hoy for her encouragement and her provision of an inexpensive yet professional platform for self-publishing that first effort. And I owe an equally big vote of thanks to that person who first directed my attention to WritersWeekly.com! You can contact Tom Douglas at http://www.tomdouglas.typepad.com.